The Fiji Trades Union Congress is maintaining its support for the dictatorship regime despite the axing of its top brass from boards of statutory organisations. FTUC President and former Fiji Labour Party Member of Parliament Daniel Urai has told FBC that Fiji is capable of handling its own political issues and international pressure must not be allowed to dictate when general elections will be held in the country. Urai says he supports any form of political dialogue that is being envisaged by regime's dictator Prime Minister Frank Banimarama. He has also predicted the new Constitution will not be a totally new document and is confident that assistance will be forthcoming towards formulating a new Constitution. Urai is also supportive of the five year election timetable that as it stands will mean elections will be held in September 2014. 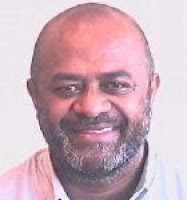 Both Urai and FTUC general secretary Felix Anthony supported the regime by becoming members of the Fiji National Provident Board after the December 2006 military coup. They also served on Boards of FNPF subsidiary organisations with Anthony serving as Chairman of Telecom Fiji and Natadola Bay Resorts Limited. Two months ago five out of six FNPF Board members including Urai and Anthony were terminated. The FNPF 2007 Annual Report states the 6 Boad members were paid $941,000 in allowances with each member receing more than $156,000. The 2008 Annual Report has not been made public but sources have confirmed one of the excessive expenses was Urai's whose mobile bill came to $3800 in a month. The source said Urai demanded that the bill be paid and threatened senior management of dismissal if it wasn't settled. The FTUC founded the Fiji Labour Party in 1985 to fight for the rights of workers. Both FTUC and FLP accepted key positions within the regime and its interim cabinet until mid last year.